The life and times of melodic death metal have been eventful, to say the least. Nearly 30 years after the subgenre's true genesis in those unlikely Swedish suburbs, its original formula has been hijacked, abused and diluted so many times that it's sometimes hard not to be angry at IN FLAMES for accidentally inventing all those terrible metalcore bands with sappy, clean vocals. But while the polished, commercially viable end of the melo-death spectrum is now fraught with creative pitfalls, the underground remains a sanctuary for those who really understand the power of this music at its bombastic best. Four albums in, MEADOWS END are by no means major players, but their reputation has been growing steadily since their "Ode To Quietus" debut emerged in 2010. Perhaps it is significant that the Swedes are proudly and demonstrably affiliated with symphonic metal, too. 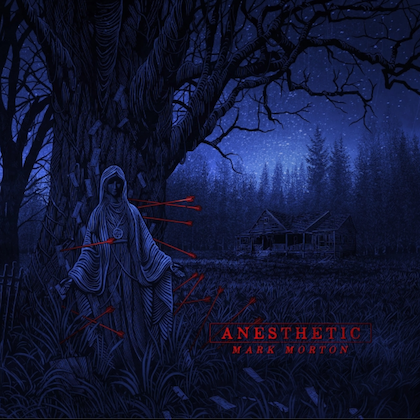 "The Grand Antiquation" covers far more musical ground than the majority of contemporary melo-death records and sounds bigger, bolder and more willfully extravagant than such a low-key release would normally entail. Purposefully polished and cinematic, this isn't pure melo-death by any stretch. Instead, it feels like a very deliberate attempt to wring every last drop of explosive heavy metal potential from the materials available. 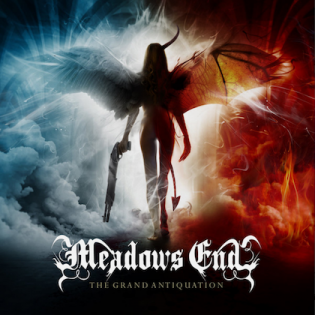 The result is that MEADOWS END have pulled off the neat trick of combining the absolute best of late '90s futuristic death metal and post-NIGHTWISH cinematic pomp, using that sparkling hybrid as a platform for what are uniformly great and tirelessly dynamic slabs of refined songcraft. "Night's Bane" is a case in point: bulging with hooks and brutish grooves but also densely atmospheric and wonderfully elegant; it's a widescreen melo-death mini-symphony, replete with misty-eyed, twinkling outro. "Non-Dreaming Eye" is even more startling. It kicks off like DIMMU BORGIR channeling Jeff Wayne, before morphing into a lurching, hypnotic groove and a euphoric chorus; vocalist Johan Brandberg's feral narration a compelling focal point throughout. It certainly helps that everything sounds almost comically huge, the perpetual swell of orchestral embellishments adding to a strong sense of grandiose melodrama. When SABATON's Tommy Johansson delivers a welcome guest solo on opener "Devilution", his fluid histrionics seem utterly at home amid all this immaculate bluster. 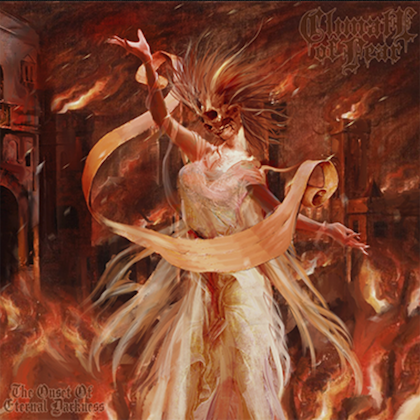 With the possible exception of OMNIUM GATHERUM, it's hard to recall another contemporary band with such an intuitive grasp of melo-death's intrinsic qualities and such great material to back up that expertise. Closing track "I Stilla Vemod Vandra" is the best of the lot: a feast of insistent grooves and ghostly detours, it's a glowing advert for this band's collective imagination. Even amid the stirring, folk-tinged rumble of "Her Last Sigh Goodbye", which is as straightforward and accessible as this band get, MEADOWS END exhibit edge, grit and fury in plentiful supply. And yes, the only clean vocals on "The Grand Antiquation" are operatic and entirely fitting. Ultimately, the Swedes have got everything right here. Don't you just love it when a plan comes together?